Movie theater hall and tickets in popcorn. 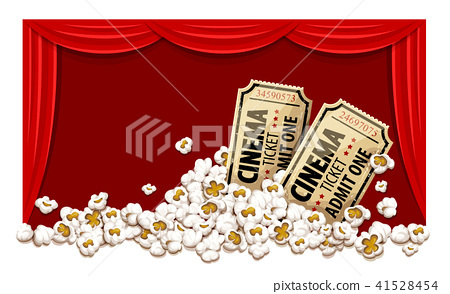 Stock Illustration: Movie theater hall and tickets in popcorn. Movie theater with red blinds. Cinema hall. Film tickets in popcorn. Vector illustration.